Very eloquent, any person who values freedom should watch this, and then take action. Whether one believes Russia successfully hacked the United States presidential election or not is immaterial. There’s just too much incriminating evidence surrounding the hack – both from our own intelligence agencies and numerous journalistic investigations – which indicates Russia did as much and with abundance. But “hack” is the wrong word. Russians did not cyber-crime their way past encrypted gateways to gain entrance into software and hyper-sensitive, confidential data. What they did was merely pull on historic propaganda strings. Negative relations between Russia and the United States go back a full century, at the least. Russia lobbed propaganda our way, and the USA lobbed propaganda in their direction. Americans had grown so accustomed to this propaganda war that it was parodied: think “Spy vs. Spy” comics in Mad Magazine. Rather than thinking in terms of hacking, an online reference that owes its existence to the totality of the twenty-first-century, it’s best to think in terms of continuity. Yes, the Cold War is over. We won. Or at least that’s what Francis Fukuyama thought when he impetuously authored The End of History. But, apparently, neo-cons in America, who danced jigs atop copies of Marx’s Communist Manifesto, forgot to inform the KGB. The Soviet Union may have collapsed in 1991, but its propaganda machines survived the rubble. When the dust settled and a former KGB agent came to power, Putin not only took control of the country but updated Russia’s ossified (and losing) propaganda wing. Gone was Soviet Union 1.0, in its place arose a new and improved “Russia 2.0” replete with Twitter and Facebook accounts. Russia then lobbed millions of propaganda rounds at an unsuspecting USA electorate in 2016 who – unthinking – clicked “likes,” “hearts,” “shares,” and “retweets,” in an anonymity-induced social media frenzy. Russia loaded its distortions in the chamber; Americans pulled the trigger. It’s as if the United States has forgotten to how to win a propaganda war. Now is the time to review how and when the USA defeated the mighty communist foe, USSR. Hint: little (if any at all) of our propagandized weapons were cyber in nature. Take for instance “Voice of America” transmissions, both radio and television – 500,000 watts of constant music, voice, and imagery of freedom and plenty blasted into Eastern Europe. Books, too became a weapon, when a CIA-funded “International Literacy Center” (based in New York City) smuggled nearly 10-million free books into Poland and other countries on the eastern side of the Iron Curtain. The State Department sponsored jazz tours inviting Dizzy Gillespie, Dave Brubeck, Louis Armstrong, Duke Ellington, Benny Goodman, and others to play in Eastern Europe or within the Soviet Union itself. American artists also became cultural fodder to be lobbed at the Soviet bloc. The CIA teamed up with MOMA (Museum of Modern Art) to promote America’s freedoms against Russian regimentations. What we wore became political. Who knew that bell-bottomed jeans would fetch such high prices in the Soviet’s black market? Then there’s the case of whether Julia Child, who once worked for the OSS during World War II and whose husband worked for the State Department throughout the 1950s, was also a deployed USA-backed cultural weapon lobbed at Europe (east and west) to promote “traditional” French cooking. When it came to expressions of American freedoms, nothing, not even the art of Jackson Pollock (conservatives alleged Pollock had ties to communists in the 1930s) was held back. It can be argued that American culture, and the pure physicality of it, assisted in bringing down the communist foe known as the former Soviet Union. We won the Cold War, in part, because of covert efforts of propagandizing a constant barrage of American freedoms in all of its representations. The internet, however, changes the landscape. American freedoms do not have an encrypted gateway, they exist for the whole world to view, especially our freedom to disagree with one another. When the Soviet Union collapsed in 1991, America’s cultural war against communism turned inward. Newt Gingrich and his ilk declared, remarkably, that America’s Democrats are the new enemy. Talk radio’s emergence became a conservative weapon of choice aimed at fellow Americans! Cable news became Faux News, also a weapon to demonize the political other. As this new weird war emerged so too did the internet buoyed by fiber optics, bandwidth, and misinformation. With the ascent of Facebook and Twitter, cute cuddly cat memes devolved into photoshopped pieces of propaganda meant to damage and weaken … well, us. Russia watched. Then Russia downloaded free apps. Russia, in 2016, assisted in the dividing of America that had already been long underway. Russia’s involvement in the election of 2016 should alarm politicians of every stripe. But even here the so-called Russian “hack” scandal has become politicized, which is why we need to ditch the word “hack.” What Russia did, and cheaply, was to exploit America’s freedoms against itself, propagandizing the two major political parties against the other. Looking at Russia’s involvement in the 2016 election as part of a long “East vs. West,” “Spy vs. Spy” continuity rather than some newly and, therefore, randomized oddity may awaken policymakers in this country to prevent a future 2016. How well the United States counters Russia (and who knows what other countries in the future may join this fray) is wholly dependent on our lawmakers’ ability to recognize that Fukuyama’s End of History insight was incredibly misguided. It’s Cold War 2.0 – and we are not winning. Joe Krulder, Ph.D., teaches history at Butte College. ^ This article is excellent in its description of what is happening in the US, but the US is not the only country under attack by Russian internet propaganda and purposeful cultural divisive tactics. Apparently Great Britain's 'Brexit' vote was also subject to Russia's divide and conquer tactics, as was France's recent election in which a very divisive fascist style candidate figured heavily. No doubt Russia's government is up to something as they sow discord among their enemies and cast a hungry eye towards the Ukraine and Eastern Europe. Recent developments regarding releasing 'the memo' show that the US Republican party seems more interested in helping Russia than helping the US rid itself of Russian influence. The defence minister has accused the Russian government of “undermining democracy” with a cyber-attack that targeted Ukraine and spread across Europe last year. The UK government took the unusual step of publicly accusing Moscow of the NotPetya ransomware attack in June, which primarily targeted the Ukrainian financial, energy and government sectors. Ukraine has been in conflict with Kremlin-backed separatists since Russia annexed Crimea in 2014. The attack was designed to spread further and affected European and Russian companies. The defence secretary, Gavin Williamson, said: “We have entered a new era of warfare, witnessing a destructive and deadly mix of conventional military might and malicious cyber-attacks. Russia has denied responsibility for the attack, which is estimated to have cost companies more than $1.2bn (£850m). It claimed that Russian businesses were among those with systems affected. The foreign minister, Lord Ahmad, said the UK’s decision to identify the Kremlin as responsible showed that the government would not tolerate malicious cyber activity. “The UK government judges that the Russian government, specifically the Russian military, was responsible for the destructive NotPetya cyber-attack of June 2017 ... The Kremlin has positioned Russia in direct opposition to the west, yet it doesn’t have to be that way. In November, Theresa May accused Vladimir Putin of attempting to “sow discord”in the west by spreading misinformation. MPs have asked social media companies to look into claims that Russian hackers tried to influence the outcome of the EU referendum. YouTube and Facebook said inquiries had found no evidence of this. Yes, its quite obvious that Russia is trying to sow discord around the world and are attempting to have countries who are allied against Russia start turning against each other. Unfortunately the US has a president who is falling for these schemes, as well as many in the Republican party. For those thinking it is not serious enough, I would like to suggest to watch this documentary from my hometown of Vilnius, filmed in January 13, 1991, twenty seven year ago (I was 28 years old young guy and I was in town). That day Russian tried to take over on Lithuanian TV, radio and main newspapers and Russian troops and tanks were on the Vilnius streets. Lithuanians came by own initiative to win TV tower, TV and Radio center,etc unarmed, singing Lithuanian songs. You can see Russian troops faces on video - they are extremely young and really get lost but soon officers sent them to beat civilians, move to min.15 seeing them shooting to the people and tanks attacking civilians. It's Europe and the year is 1991!!!!! As the investigation in the US continues to unfold, members of the Republican party seem to be split between those who want to keep the US free from Russian manipulation, and those who seem to welcome Russian help as long as it helps the Republican political party. Of course in the long run, any 'help' from the Russians only means help for the Russian's long range plans for the US. Trump's misguided trade wars continue to isolate the US from some of our best allies. This can only be good news for Putin and the Russian government. Creating discord is Putin's goal, and Trump is his perfect dupe. At yesterday's tragic summit between Trump and Putin, Trump showed once again that he is willing to bend over backwards to please Putin. Either Trump is that stupid, or Putin has Trump blackmailed with some dirty goods, neither scenario is good for the US or the rest of the world. WASHINGTON — Under unrelenting pressure from congressional Republicans, his own advisers and his allies on Fox News, President Trump abruptly reversed course on Tuesday and claimed he had misspoken during a news conference with President Vladimir V. Putin about whether Russia tried to influence the 2016 presidential election. Mr. Trump, reading from a script, said he believed the assessment of the United States’ intelligence agencies that Russia had interfered in the campaign after having seemed to have accepted Mr. Putin’s assertion the day before that Russia was not involved. The misunderstanding, he said, grew out of an unsuccessful attempt to use a double negative when he answered a question about whether he believed Mr. Putin or his intelligence agencies. He also insisted that he has “on numerous occasions noted our intelligence findings that Russians attempted to interfere in our elections.” He did not mention the far greater number of occasions on which he has sown doubt about whether Russia meddled. Mr. Trump also did not retract or explain his withering attack on the F.B.I. and the Justice Department for investigating his campaign’s ties to Russia. He did not withdraw his assertion, standing next to Mr. Putin, that the Russian leader had offered an “extremely strong and powerful” denial of involvement during their two-and-a-half-hour meeting. And he did not amend his answer to a question about whether he believed Mr. Putin or officials like Dan Coats, his director of national intelligence. The news conference on Tuesday was a hastily arranged, somewhat haphazard effort to defuse a sudden political crisis that had eclipsed the president’s trip to Europe and his meetings with Mr. Putin and the leaders of NATO members and threatened to overwhelm the White House. Dozens of Republicans distanced themselves from the president’s remarks; Democrats called for hearings; and some critics even suggested his conduct, on foreign soil, rose to the level of treason. One of the favorite films I show in university class is “Taking Sides” about the life of the German conductor Wilhelm Furtwaengler, one of the most prominent conductors in pre-war Germany. During the Nazi period, he tried to stay out of politics as much as possible, helping Jewish orchestra members to escape and at the same time compromising with the Nazis, as little as possible, but enough to have him put before a Denazification Tribunal after the war. He was acquitted, but his career was destroyed and he died a bitter man. One of the factors that made him compromise probably more than he wanted was the existence of a competitor, the young Herbert von Karajan, whom he couldn’t stand and whose name he refused to pronounce; he would refer to him as “little K”. The Nazis knew how to use him, and the sad thing is that Von Karajan was a full-blown Nazi who had no need to compromise, but after the war he walked away unscathed, and had a big career. Even my mother loved him, although two of her brothers wound up in Nazi camps and only one made it out alive. She probably didn’t know Von Karajan’s past, but all my youth I heard her play his concerts while ironing my father’s shirts. The other day I went to the concert of Roger Waters, “Us and Them”, in the Lithuanian city Kaunas. “Us” is probably us, the normal souls, and “they” are those crooked leaders who get rich over our backs and who just use us in every possible way under the disguise of “democracy” or “national interest” and get filthily rich. The show was incredible, better than I had ever seen (but the amount of comparison I have is a bit limited, I admit), and halfway through the strong political undertone became prominent. “Resist” is his big theme, and during the break he showed on screen what we ought to resist. Anti-Semitism – sure, fully agree. Netanyahu – yes, I also agree, because I think he is a menace to Israeli democratic society and I very much dislike the ever-growing influence of post-Soviet Israeli citizens who have little democratic experience and fully in line with Soviet black-and-white think all Palestinians should be killed and the West-Bank is all “ours”. Resist neo-fascism: yes, I agree, and I think most on his list are dangers to democratic and liberal society (although I missed the name of Wilders, the Dutch “Mozart” who I think is a very dangerous personality). Interestingly, he mentioned Putin as one of those neo-fascists, however with a question mark. Why the question mark? He is one of main the instigators of right-wing extremism in Europe and his government is as neo-fascist as it can be. However, what I didn’t like immediately was his remarks that we shouldn’t confront “the Russians” (tell that in a country that was occupied for fifty years) and his constant use of the clenched fist (a very Communist symbol, also not very much appreciated in Lithuania as you can understand). In general, it was clear to me he had not prepared himself well and did not understand in which country he was performing. Naïve and politically uneducated, was my short-term conclusion. In other words, I left the concert a bit confused, thought Roger Waters needed some “enlightenment” but on the whole I still liked the fact that he had an opinion and had no problem to voice it. I want people to speak out, rather than to pretend and behind your back think otherwise. He definitely did exactly this – loud and clear. However, my posts on Facebook – what a horrendous medium that actually is – resulted in a lot of protests. Some said he “was an old man” who had “lost his voice”, which is not only factually untrue but also rather condescending – since when is age a criterion? Aretha Franklin was 76 when she died, one year older than Waters, but I have never heard that argument used against her. However, there were also many posts that shed more light on Waters’ positioning. “Crimea is Russian, Russia had the full right” to occupy it, Waters claimed (on 15min.lt, Lithuania). The Skripal case is outrageous and anti-Russian, he also explained, and of course the Putin regime didn’t do it and it was all a set-up, as he explained in an interview with “Izvestiya” (whom I would never ever grant an interview as long as Putin is around). More and more and more. It is clear to me – Roger Waters is a typical fellow-traveler, who sees all evil in the West and refuses to accept the horrible truth that Russia is ruled by a criminal gang, in a country where criminality and authority have become more or less synonymous, and that much of the trouble in Western Europe is if not created then at least stimulated by Russia’s covert actions. Also, he falls in the trap that being against Putin’s regime is being “against Russians”, and hey – we don’t think Russians are all that bad, right? True, I have very many Russian friends that I love dearly, I think they are wonderful and intelligent people, and like me they hate that their country has again entered a period of non-freedom and that the country seems to have an eternal difficulty in accepting a more democratic and equal form of government. But they are not the Putin regime and his whole corrupt clan. The paradox is, of course, that while Waters is against anti-Russianism (which in a way I share, there are many good and wonderful Russians, yet like in most dictatorially ruled countries they shut up and when necessary even say “Hurrah” to the regime to save their own skin) he misses the point that part of the power base of the Netanyahu government that he so much despises is exactly the influx of the same type of people from former Soviet republics. Following Maidan I traveled several times to Israel and drove around with a Ukrainian flag, and you cannot imagine the reaction. Ukraine is a country of fascists and most Russian Israelis are completely pro-Putin, the real fascists. So what does that teach us? For me, it is a good lesson. I went to a wonderful concert to which I probably would not have gone if I had been aware of all the facts. But the bigger issue is how much music is political, and how much we can separate music – and musicians – from politics. Wilhelm Furtwaengler thought he could separate it, and when he was pushed, he made compromises, for instance by playing on the night before the big Nazi party gathering in Nuremberg rather than on the day itself. Valery Georgiev says he is just a musician, but he is also a staunch Putin supporter and in favor of the occupation of Southern Ossetia. I know that and I would never go to his concert, even if only out of respect for those who suffered during the Russian-Georgian War of 2008. When do you go and when don’t you go, it is such a thin and complex line that embodies all the predicaments of a thinking and conscientious citizen. I remember that when I campaigned for the freedom of Soviet political prisoners, I had a wide variety on my list. “Standard” human rights activists, psychiatrists who opposed the political abuse of psychiatry (not more than a handful), nationalists of various ethnicities, Baptists, Jewish refuseniks and the odd artist who wound up behind bars because the authorities didn’t like his or her work. However, after the USSR collapsed and all were released, it turned out that many were not so democratic, that the religious views some held were definitely not mine and that some nationalists had strong anti-Semitic ideas. Did I regret my work? No, I didn’t, because I believed everybody had the right to voice their opinions and not wind up in jail merely because he or she did. However, in some cases I of course wondered why I had wasted so much time on one or another person. Waters has the right to an opinion, and I applaud the fact that he voices it openly and without any consideration whether it will hurt his business or not. The man stands for his ideas, and that deserves admiration. However, as I said, to me he clearly falls in the long list of fellow-travelers, who are attracted to that unexplainable Russia which thrives so much on the positioning of being victimized by the environment yet at the same time has conquered so many nations and continues to do so. As Communist leader Gennadi Zhuganov once said, without understanding the paradox in his remark, “Our nation is peaceful and not bad. It spent eight hundred years at war and on battlefields”. It used to be leftists who had this strange positioning, including New York Times correspondent Walter Duranty and British author Bernard Shaw, but now it includes many right-wing politicians like Geert Wilders and Marianne Le Pen, and not to forget the Minister of Foreign Affairs of Austria. All are caught in the “Russia-web” and sing His Master’s Voice. And that I somehow can understand, however awful it might seem. Russia is a country you can only love and hate at the same time. You love your Russian friends and sometimes you want to strangle them. The country beholds you, it attracts and revolts, yet it is always there – the fate of a Sovietologist or Russologist. However, one thing is absolutely clear to me: Putin is a dictator, unifies criminality with KGB power and those who suffer in the first place are his own people, and those who are forced to live next to Russia. But that, alas, Roger Waters doesn’t understand one bit. 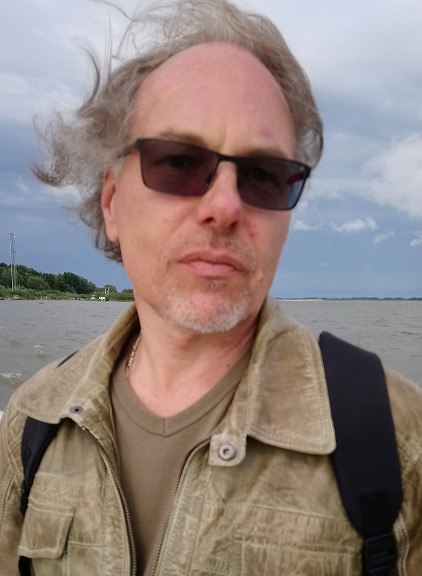 Robert van Voren is the head of Vytautas Magnus University’s (VMU) Andrei Sakharov Research Centre for Democratic Development, human rights activist, political scientist, professor, Chief Executive of the Global Initiative on Psychiatry. In one incident, football supporters opposed to the name change fought police in Skopje. Some later admitted they had been paid to cause trouble by shadowy figures. A photograph was circulated on social media showing the bruised face of a popular singer. It falsely claimed she had been beaten by police. Zaev said at one point he had received numerous reports that Greek businessmen “sympathetic to the Russian cause” had paid rightwing nationalist groups as much as $21,000 (£16,000) to commit acts of violence. He was supported by James Mattis, the US defence secretary, who declared on a visit to Skopje that there was “no doubt they [Russia] have transferred money and are conducting broader influence campaigns”. Mattis’s attempt to bolster the yes vote, backed by $8m in US congressional funding, were complemented by visits by Angela Merkel, Germany’s chancellor, Jens Stoltenberg, the Nato secretary general, and Federica Mogherini, the EU’s foreign policy chief. Britain’s Foreign Office reportedly provided referendum funds. All sought to assure Macedonians their future security and prosperity were best served by closer integration with the west. But they were out-thought, outspent and outmanoeuvred by Moscow. Russia’s meddling extended to northern Greece, where four diplomats were expelled in July for trying to inflame anti-Macedonian sentiment in Thessaloniki. In 2016, Moscow was accused of trying to mount a coup in Montenegro to prevent it from joining Nato. As elsewhere in Europe, Russia’s influence campaign in Macedonia exploited and complemented rightwing nationalist-populist narratives based on notions of identity, race and the perceived threat of an overbearing EU. And it remains unclear whether Moscow’s actions tipped the balance. The paradox is that, whatever their country is called, a large majority of Macedonians support EU and Nato membership, according to a recent survey. That prospect has receded, at least for now. In the continuing Europe-wide contest for power and influence, Russia just scored again.